For over four years Cells4Life has offered the additional option of storing umbilical cord tissue stem cells alongside those found in the cord blood. But what is so special about these cells and why is it important to preserve them? Cord tissue is one of the richest sources of mesenchymal stem cells available. These are the cells that are thought to have the most potential in the field of regenerative medicine. The MSCs found in the ‘Wharton’s Jelly’ are more abundant and powerful than those in the cord blood and have huge potential for use in a wide range of regenerative therapies. The perivascular cells found in the umbilical cord are being investigated for bone formation and dermal tissue engineering. These cells are easy to culture and commonly used in a research setting for vascular biology – including inflammation, blood clotting and angiogenesis. CLSCs have proved effective in the treatment of difficult to heal human wounds such as diabetic ulcers, defects to the cornea and have demonstrated successful regeneration of the liver and heart in animal studies. 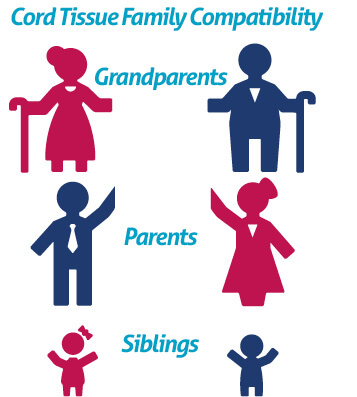 Not only will the umbilical cord tissue stem cells be a 100% match to your child – they could also be match to other members of the family too. 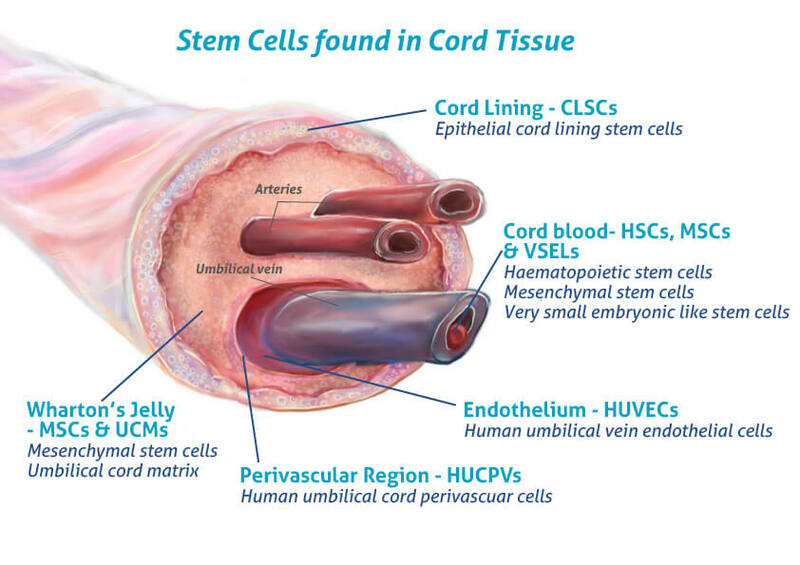 One of the great advantages of umbilical cord tissue stem cells is the ease by which they can be collected. In the very unlikely event that there is any difficulty with the collection of cord blood, stem cells from the umbilical cord tissue will almost certainly still be available.